Professional Development is important to your career and your organization. We’ve all heard the saying that an organization is only as good as its people. Being properly trained increases morale and productivity, makes work environments safer, adds value to the company and develops independence in the workplace so less supervision is needed over junior level responsibilities. When we develop ourselves and our staff professionally, satisfaction and productivity are improved at all levels. Choose from below or get in touch with us today to discuss your professional path forward! IPMI's continuing education courses, both online and onsite, provide convenient, affordable, and focused education opportunities that align with your organization's needs and specific requirements. IPMI's skilled and experienced educators lead our online and on-site trainings. CAPP is respected worldwide as the leading credential in parking. CAPPs represent the best of the industry, providing service, demonstrating competence as they advance the parking, transportation, and mobility profession, and leading with innovation, professionalism, and expertise. CAPP designation is meant to assure stakeholders (employers, regulators, consumers, and the public) that the credentialed parking professional has demonstrated an established level of competence in the field. Accredited Parking Organization (APO) is a designation for parking organizations that have achieved a comprehensive standard of excellence. 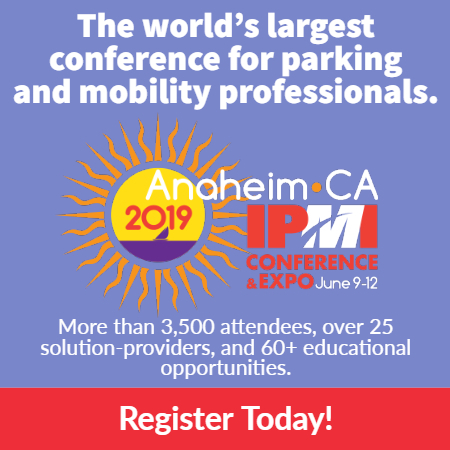 Launched in 2015 by IPMI, the accreditation recognizes best practices in responsible parking management and operations, customer service, professional development, safety, and security. IPMI’s annual Awards and Recognition Program celebrates individuals and organizations in the parking, transportation, and mobility industry. Winners in three major award categories embody industry excellence - Awards of Excellence, Professional Recognition Program, and Marketing and Communications Awards.